The winners are Charliecloud, GUFI, Lighthouse Directional Radiation Detectors, Long-Range Wireless Sensor Network, Rad-Hard Single-Board Computer for Space, Silicon Strip Cosmic Muon Detectors for Homeland Security, Universal Bacterial Sensor and ViDeoMAgic. 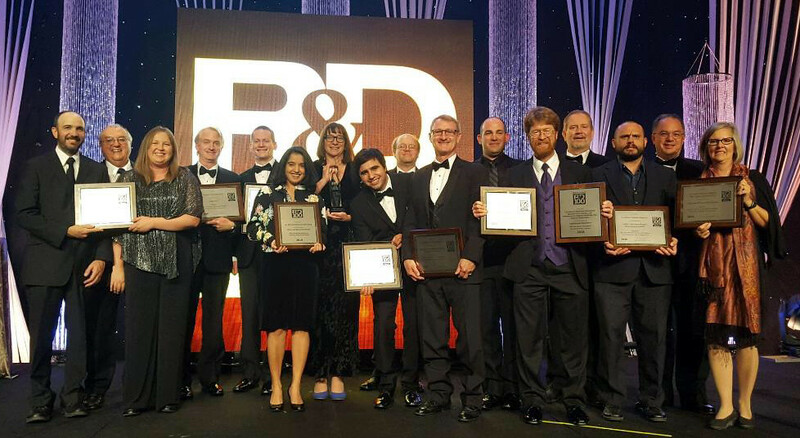 LOS ALAMOS, N.M., Nov 19, 2018—Eight Los Alamos National Laboratory technologies won R&D 100 Awards at R&D Magazine’s annual ceremony in Orlando, Florida. Three of the inventions also won Special Recognition Awards, including a Gold award for corporate social responsibility. Charliecloud: Lightweight container software enables software “containers” on high-performance computers. Grand Unified File Index (GUFI): Provides the fastest software for searching metadata at the scale used by supercomputer and enterprise centers. Lighthouse Directional Radiation Detectors: Precisely determines the location, amount and movement of a radioactive source in the presence of multiple sources. Long-Range Wireless Sensor Network: This turnkey, low-power sensor network enables data collection and transmission in rugged, remote outdoor environments. Rad-Hard Single-Board Computer for Space: Lightweight radiation-hardened computer for satellites and other space applications. Silicon Strip Cosmic Muon Detectors for Homeland Security: The slim profile of these detectors enables stealthy deployment to detect shielded nuclear materials. Universal Bacterial Sensor: The sensor mimics biological recognition of bacterial pathogens to enable the detection of bacterial infections even before the onset of symptoms. Video-Based Dynamic Measurement & Analysis (ViDeoMAgic) uses video of a vibrating structure and extracts high-spatial-resolution structural vibration and dynamics information to measure the dynamic response and analyze the health of civil, mechanical and aerospace structures. The prestigious “Oscars of Invention” honor the latest and best innovations and identify the top technology products of the past year. 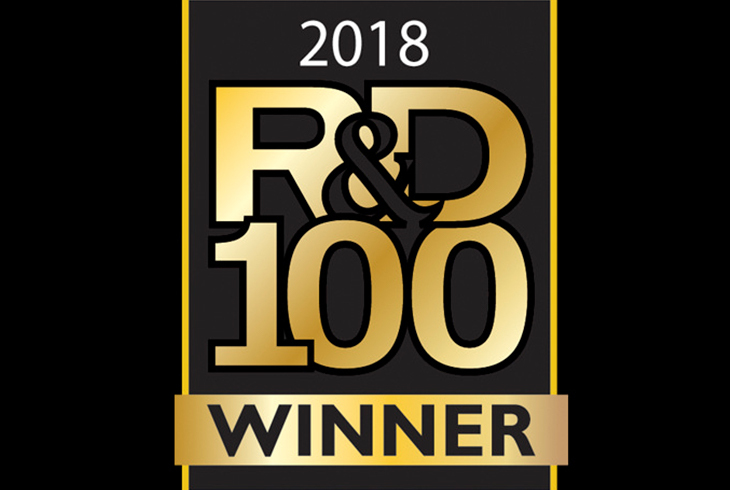 The R&D 100 Awards span industry, academia and government-sponsored research organizations. Since 1978 Los Alamos has won more than 153 of the prestigious R&D 100 Awards. The Laboratory’s discoveries, developments, advancements and inventions make the world a better and safer place, bolster national security and enhance national competitiveness. See all of the 2018 R&D Award Winners. Read more about the Laboratory’s past R&D 100 Awards. Charliecloud enables software containers – packages of custom code, software or software environments – on high performance computers. The invention achieves portability, consistency, usability and security in 1,000 lines of open-source code. It runs on existing high performance computing systems with zero configuration, servers or extra processes. Reid Priedhorsky and Tim Randles led the team of Michael Jennings, J. Lowell Wofford, and Jordan Ogas of Los Alamos and collaborators from the University of Bonn and Wellcome Trust Sanger Institute. The Grand Unified File Index is the fastest software for searching metadata at the scale used by supercomputer and enterprise datacenters. This open-source software allows simultaneous secure queries of ultrascale metadata by multiple users and system administrators. Users can search billions of files in the file system trees and receive query results in seconds, without sacrificing the performance of the file system itself or impacting security. Gary Grider led the team of David Bonnie, Jeff Inman, Dominic Manno and Wendy Poole. In addition to the R&D 100 Award, GUFI won an award in the Market Disruptor-Products category. This award is designed to highlight any product that has changed the game in any industry. The detectors precisely determine the location, amount and movement of a radioactive source in the presence of multiple sources. Gamma, fast-neutron and thermal-neutron detectors are small, lightweight, portable, high resolution and fast. Applications include environmental and geological surveys, emergency response, materials accountability and control, and situational awareness. Los Alamos submitted the joint entry with Questa Instruments LLC, Phoenix International Holdings Inc., Sexton Corp. L. Jonathan Dowell and Dale Talbott led the team of Rick Rasmussen, Rick Rothrock, Sam Salazar, Theresa Cutler, Mark Wald-Hopkins, Kris Hyatt, Don Hyatt, Larry Bronisz, James Thompson, Chris Chen, David Fontaine, Adam Kingsley, Thomas Barks, Damien Milazzo, James Hemsing, Gary Sundby and David Allen. The team included collaborators from the U.S. Army; Quaesta Instruments, LLC; Phoenix International Holdings, Inc.; and Sexton Corporation. In addition to the R&D 100 Award, this invention received an award in the Market Disruptor-Products category. This award is designed to highlight any product that has changed the game in any industry. The Long-range Wireless Sensor Network grew out of the Lab’s decades of experience developing satellite components for the harsh space environment. The turnkey low-power sensor network is self-forming and self-healing and scales to hundreds of nodes for unattended operation. It can affordably collect, process and transmit data over long distances (19 kilometers point-to-point) in rugged, extreme and remote outdoor environments. The Laboratory submitted the joint entry with West Virginia University. Janette Frigo led the team of Tracy Gambill, James Krone, Hudson Ayers, Shawn Hinzey, Kari Sentz, Xiaoguang Yang, Terra Shepherd, Richard Dutch, Louis Borges, Bobby Quintana, Ryan Hemphill, Michael Cai, Sanna Sevanto, Cathy Wilson, Joel Rowland, Thom Rahn, Kevin McCabe, Don Enemark, Michael Proicou, David Guenther, Stephen Judd, Armand Groffman, Alexandra Saari, Steven Veenis, Allison Chan, Bobbie Rappe, Tom Dufresne and collaborator Vinod Kulathumani of West Virginia University. The lightweight, low-cost single board computer has radiation-hardened and mechanically-hardened electronics for satellites and other space applications. It is smaller and uses less power than any other space-grade computer currently available. Industry standard MicroTelecommunication Computing Architecture expands compatibility and interoperability. The invention leverages the Lab’s more than 50 years designing instruments for satellites and deep space missions. Robert Merl and Paul Graham led the team of Zachary Baker, Justin Tripp, John Michel and Richard Dutch. Naturally occurring cosmic particles called muons “rain down” from the atmosphere and scatter significantly when they interact with high-atomic-number materials. Muon trackers use the scattering trajectory signature to detect shielded nuclear materials, explosives, and other items of interest. The slim profile of silicon strip muon detectors provides versatility and enables stealthy deployment into walls, ceilings and portable devices. Nevada National Security Site Mission Support and Test Services LLC submitted the joint entry with Fermi National Accelerator Laboratory and Los Alamos National Laboratory. The Los Alamos team included Chris Morris, J. Matthew Durham and Elena Guardincerri. The human immune system inspired the development of the Universal Bacterial Sensor — a unique technology that mimics biological recognition of bacterial pathogens. Like the immune system, the sensor recognizes all bacterial infections as early as before the onset of symptoms. The method uses only a small volume of sample and requires no prior knowledge of what the bacteria might be. It is inexpensive, field-ready, can be performed by a nonexpert and provides reliable answers within 30 minutes. Harshini Mukundan led the team of Basil Swanson, Aaron Anderson, Jessica Kubicek-Sutherland, Ramamurthy Sakamuri and Loreen Stromberg. In addition to the R&D 100 Award, the invention received a Gold Award for Corporate Social Responsibility. This award honors organizational efforts to be a greater corporate member of society, from a local to global level. ViDeoMAgic analyzes digital video of a vibrating structure to extract structural-dynamics response information in high spatial resolution. Unsupervised machine learning algorithms then analyze those dynamic responses and extract the structure’s dynamics properties (resonant frequencies, damping & mode shapes) from the video data That data, in turn, can be used to assess the system’s health (with respect to damage and defects). High fidelity, in situ damage detection of civil, mechanical, and aerospace structures enables identification and remedy of incipient damage before it reaches the critical level. Yongchao Yang led the team of David Mascareñas, Charles Dorn, Charles Farrar and Garrett Kenyon.